How to maintain online privacy? If you get a list of all people using Internet, I bet you that this article is concerned with at least 75% of them. And 75% of them wouldn’t get a word about what this article is trying to convey! Still for the rest of the 18.75% (If my calculations aren’t wrong ), I am writing this article! It may appear to you that accessing Facebook, Google+ and other information is completely harmless but wait, you are wrong! Every Google Search that you do, every single status update that you post on Facebook or every Video that you watch is taking away your privacy. And for you if privacy matters, you might just be required to change your habits a bit. I’m sure that you all must be knowing what an IP Address means? For those who don’t, read this! Every device connected to the public Internet is assigned a unique number known as an Internet Protocol (IP) address. An IP addresses consist of four numbers separated by periods (also called a ‘dotted-quad’) and look something like 127.0.0.1. Since these numbers are usually assigned to Internet service providers within region-based blocks, they can often be used to identify the region or country from which a computer is connecting to the Internet. It sometimes can be used to show the user’s general location. And if you’re that ‘someone’, then it may just mean a lot to you. Imagine any spying activity that may take place just because you logged in to Facebook from different locations! And this just doesn’t stop on IP tracing. Do you just use the same account details for all your accounts:- Google, Facebook, Twitter, website XYZ? 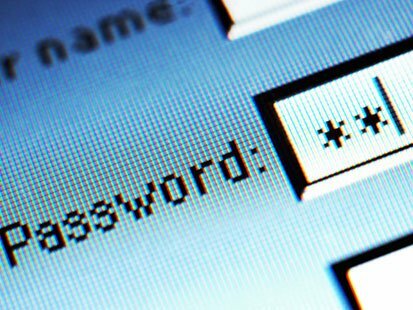 Definitely Google, Twitter and Facebook may not try to log in to your different accounts, but website XYZ can! Trust is a word that finds no application in the world of Internet, because there are hordes of cyber-criminals lurking around. God forbid, but you may be the next target. Just think if a guy gets access to your Google Accounts. He may see all your documents on Google Docs (In which confidential information might be saved! ), use your account for illegal purposes and by chance if some one gets caught it wouldn’t be that guy but you! Avoid creating accounts of websites which are not very popular. Don’t keep any confidential information online. If you’re concerned, browse anonymously. Learn How! Common Sense is the key to happiness (We do exaggerate!). Don’t click on malicious looking URLs. Remember that your private information is yours. You get the choice of when, where and why you want to share it with someone.